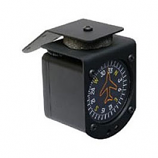 RC Allen Electric Attitude Indicator RCA26EK-14. 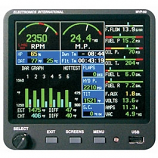 The RCA26 Series is the culmination of over 60 years of experience in the design of electric attitude indicators. The RCA26EK Series is a multi-volt instrument capable of operating from 10 to 30VDC. Like the RCA26AK and RCA26BK Series instruments you have a choice of a fixed or movable pointer, and either lighted or non-lighted.